4 or more: $32.54 ea. 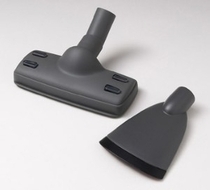 Crevice nozzle is built to remove pet hair from curtains and other confined, hard to reach spaces. Both nozzles come equipped with lint strips. Comes with converters, so it easily fits on almost all vacuum types.